The Theatre School at DePaul University will present the 27th Annual Awards for Excellence in the Arts at a gala Monday, Nov. 9. Proceeds from the event will benefit the scholarship fund, which supports students to train at the theater school. 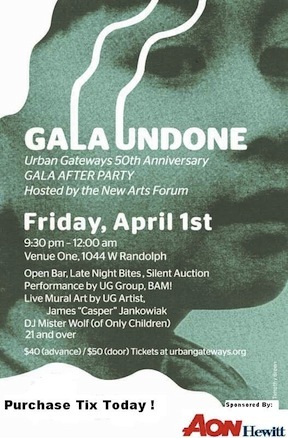 The gala will recognize distinguished artists and visionaries who have proven dedication and talent in support of the arts. This year will mark the Museum of Contemporary Art Chicago's 17th Benefit Art Auction after a five-year break. Works by more than 100 artists, ranging from painting to sculpture, will be included in the auction that begins this Friday with over 500 guests in attendance. The MCA has a successful past with previous art auctions for the museum. In 2010, the museum raised $2.8 million from bidders and was able to spread out the proceeds for several fiscal years. "All of the money goes right back into supporting the MCA's core mission," says Michael Darling, James W. Alsdorf Chief Curator, whose role includes fundraising for programs and education within the museum. Seven of Chicago's top dance companies will perform in the annual Dance for Life benefit Saturday, August 15, at the Auditorium Theatre. 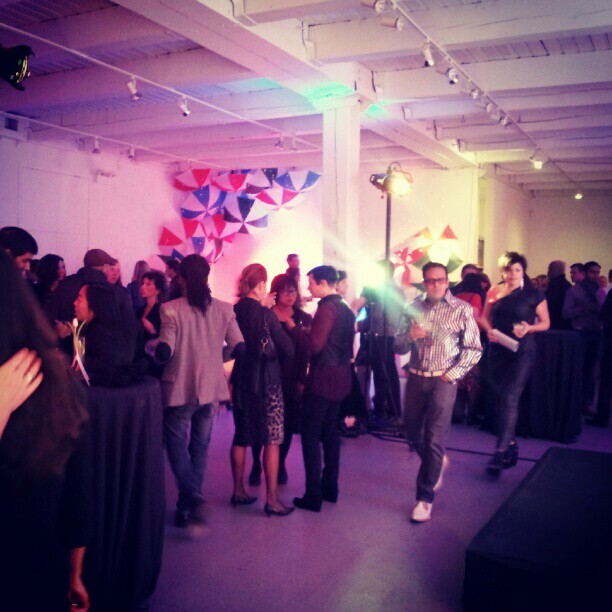 This benefit for HIV/AIDS has been conducted since 1992. Funds raised will benefit the AIDS Foundation of Chicago and The Dancers' Fund, a funding program of Chicago Dancers United. Companies in this year's lineup are Giordano Dance Chicago, Hubbard Street Dance Chicago, Joffrey Ballet, River North Dance Chicago, C5, Chicago Human Rhythm Project and Same Planet Different World Dance Theatre. Second City's Joey Bland and Tim Mason will emcee the night. Performing group C5, which blends dance with aerial acrobatics, will present a world premiere. The finale will be choreographer Randy Duncan's work Stand by Me with special music arranged by Ira Antelis. The finale will feature local professional dancers selected through a special audition. The evening will begin with a 5pm reception at the Hilton Chicago Grand Ballroom. The Dance for Life performance begins at 7:30pm at the Auditorium Theatre, 50 E. Congress Pkwy. Tickets are $15-$75 for the performance and $250-$600 for reception and performance; they can be purchased online or by calling 312-922-5812. Karen Gerod, the owner of Swim Cafe, has long been a supporter of local literary and charitable events. Since the inception of the Soup & Bread series at the Hideout she's been there, and since September 2012 she's made her cafe home to the live lit series That's All She Wrote. Earlier this year Karen was diagnosed with cancer, and has since been battling both the disease and mounting medical bills. 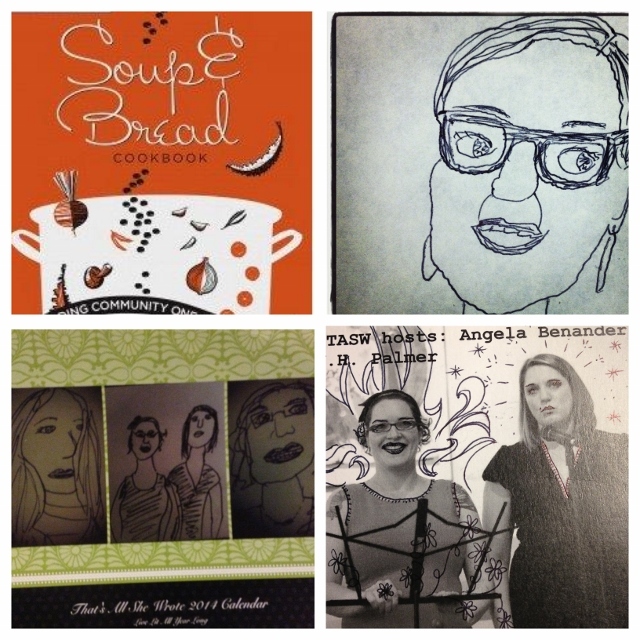 Martha Bayne of Soup & Bread has teamed up with Angela Benander and JH Palmer of That's All She Wrote for a fundraiser on Wednesday, Dec. 11 at the Hideout (1354 W. Wabansia) benefitting Karen. 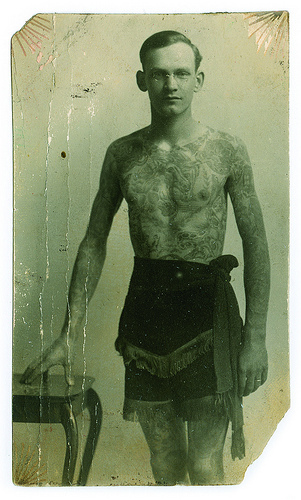 Norwegian-born Amund Dietzel learned the craft of tattooing on a merchant ship and brought it to Milwaukee in 1913, where he opened his first shop. Jon Reiter, himself a Milwaukee-based tattooer, has published a two-volume catalog of Dietzel's work, These Old Blue Arms: The Life and Work of Amund Dietzel, and worked in conjunction with the Milwaukee Art Museum for a recent exhibit of Dietzel's work. Earlier this year, Reiter was diagnosed with a rare blood clotting disease; he was successfully treated, but is now burdened with medical bills. The Dietzel exhibit is traveling to Chicago as a benefit for Reiter, and will be shown in the gallery space at Great Lakes Tattoo, 1148 W. Grand Ave. On Friday, Nov. 29, there will be an opening reception from 5pm-10pm with appetizers and refreshments, limited edition posters and books for sale, auction items, and a raffle to help offset Reiter's bills. In addition, from Nov. 29 to Dec. 1, all tattoo proceeds from original Amund Dietzel designs will be donated to Reiter. This Valentine's Day marks the 15th anniversary for Gilda's Club in Chicago. For 15 years Gilda's Club Chicago has been standing by cancer patients and their families through thick and thin. The Club was founded in memory of the famed "Saturday Night Live" and former Second City Cast member, Gilda Radner. 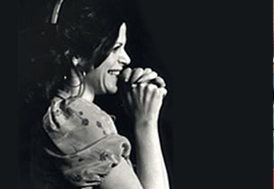 Radner was diagnosed with cancer in 1985. Once commenting on her diagnosis she said, "Having cancer gave me membership in an elite club I'd rather not belong to." After her death in 1989, Gilda's Club was opened as a support community for families and patients affected by Cancer. 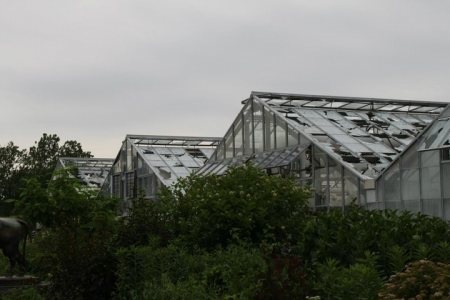 Gilda's Club Chicago is a community with no membership dues. Through health seminars, classes in yoga, and special events, Gilda's club provides an escape from the stresses of diagnosis and treatment. Second City has remained close to Gilda's Club since the first red door opened to the public, raising funds and performing at many of the Center's functions. See Second City perform tomorrow, and join Gilda's Club Chicago at 5pm in celebrating their 15-year milestone with an open house at 537 N. Wells St. and comedy performance. Finally, if you're still in a last minute pinch to find your loved one a great Valentine's Day gift, check out Chocolate Inspirations, Inc. and their Chocolate for Charity program. This year, 10% of the proceeds will go directly towards Gilda's Club Chicago and help support another 15 years to come. The romance of the Industrial Age will sweep through Chicago for one night only -- this Saturday, Feb. 2 -- when the Museum of Contemporary Art hosts its annual fundraising benefit, artEdge. MCA's Warehouse location will be transformed into a work of functional and live art reminiscent of days past and of the building's own history as a bakery. The benefit will include a meal and a concert, but is much more than the sum of its parts. Guests will be treated to a complete experience from beginning to end, and with the proceeds going back to the museum, the event is not to be missed. Attendees will enter through the back alleys of the warehouse, a throwback to Chicago as a city of bricks, and then make their way up a winding, wrought-iron staircase to the first course of their meal, hors d'oeuvres strung from chain-linked walls. Next, guests will find themselves in an industrial-chic wonderland of light and metal created by Heffernan Morgan Designs and Event Creative. The event guarantees not only a treat for the tastebuds, but also a symphony for the other four senses. As the party-goers make their way through the Chain Link Room, Automation Room, Corrugated Room and Chain Room, they'll experience dinner served on moving conveyor belts, whirling ceiling fans, state-of-the-art manufacturing presentations, and special live performances curated by Peter Taub, the MCA's Director of Performance Programs. 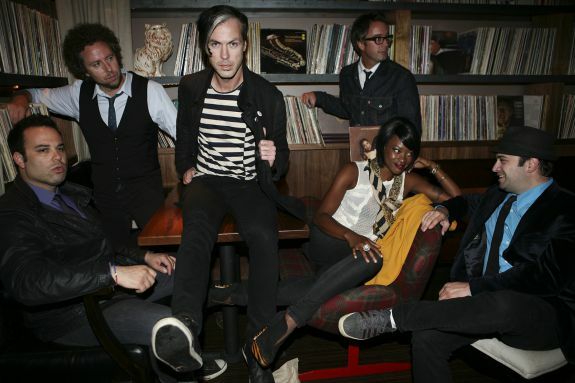 The soiree will conclude with a dessert bar, a VIP Rubber Bar, and a concert by indie pop group Fitz and the Tantrums. The event takes place on Saturday, Feb. 2, from 7pm to 11pm. Individual tickets are available for $1,000, which includes the cocktail reception, dinner, dessert reception and concert performance. Table packages begin at $15,000. Concert tickets are available for $150 and include the dessert reception, open bar and concert performance. To purchase tickets, table packages, make reservations, or to inquire about sponsorship, email hhanas@mcachicago.org or call (312) 397-3868. WRITE CLUB Founder and Overlord, Ian Belknap. Photo credit: Evan Hanover. WRITE CLUB, the world's most badass competitive literary series, is making a special appearance on Friday, Nov. 16, at Hamburger Mary's, 5400 N. Clark St. The series regularly benefits charitable organizations, and this Friday, in a special appearance away from its home at the Hideout, benefits Stone Scholastic Academy. If you're not familiar with WRITE CLUB, it consists of three bouts of two opposing writers representing two opposing ideas (Fire vs. Ice, say, or Fate vs. Free Will) assigned in advance. Performers get 7 minutes apiece to make their case, and the audience picks a winner. 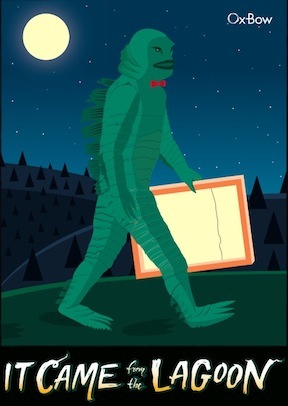 It's fast, hilarious, and has been hailed by New City as a Top Five Literary Event of 2011, and the Chicago Reader called it "The punchiest thing to hit literature since Hemingway." Travis Dow moved to Chicago in 2001 to pursue music and acting. 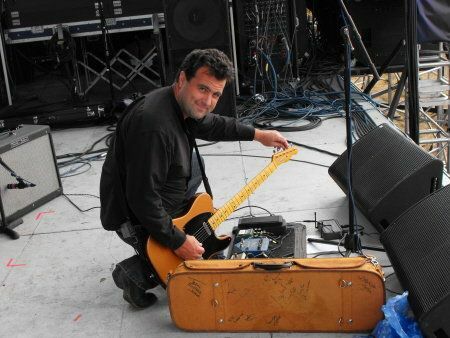 He quickly joined the acclaimed Katie Todd Band as lead guitarist and vocalist. 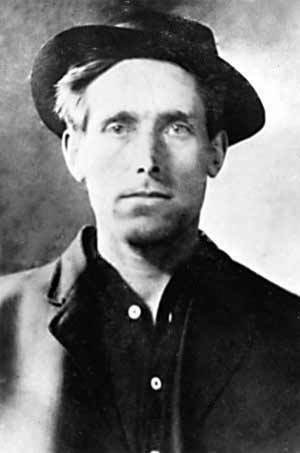 In 2003, Travis enrolled in Chicago's I.O. (formerly ImprovOlympic) and eventually performed with two of their Harold teams: Pestering Chester and Captain Sweatpants. Later, he enrolled in ComedySportz's training center and eventually performed for their BattleProv program. In February, Travis received a diagnosis of Burkitt's Lymphoma, a rare type of Non-Hodgkin Lymphoma. Burkitt's is highly aggressive, but responds well to very intensive treatment. Travis is currently undergoing such treatment at City Of Hope in LA. Even with the help of moderate health insurance, their expenses are overwhelming. 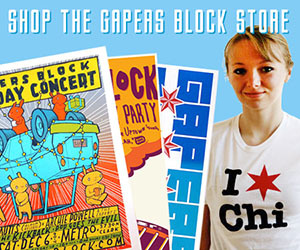 Therefore, the music and comedy communities of Chicago are stepping up to help. The Travis Dow Benefit will be held on Friday, May 18 at 8pm at Uncommon Ground Edgewater, 1401 W. Devon Ave. Scheduled performers include Music from Katie Todd, The Damn Hoovers and Al Rose, and improv from Jeff Hedges, Nick Johne, Scott Levy, Mike Meyers, Laura Schneider Lazzara, Sarah Pfouts Sullivan, Kieran Sullivan and Kat Timmons. A $15 donation at the door gets you an evening full of fantastic entertainment. You can view the facebook event here for more information. If you are unable to attend, but would like to contribute, you can visit the Support Travis Dow webpage here. Playground Theater. Rhythm Method performs with Bella and one additional improv ensemble as part of the Sandbox Improv Showcase on Mondays in April at 8 p.m. Tickets are $5 and available at the box office located inside the theater at 3209 N. Halsted St. in Chicago. Reservations for Rhythm Method or any Playground show can be made at (773) 871-3793 or www.the-playground.com. All shows are BYOB for audience members age 21 and up. 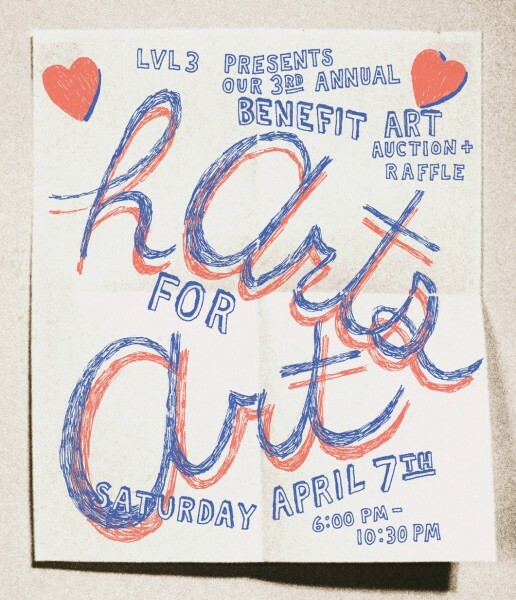 LVL3 Gallery presents its 3rd Annual Benefit Auction and Raffle, "hArts For Art" on Saturday, April 7, from 6pm to 10:30pm. LVL3 is an exhibition space in Wicker Park directed by artist Vincent Uribe. 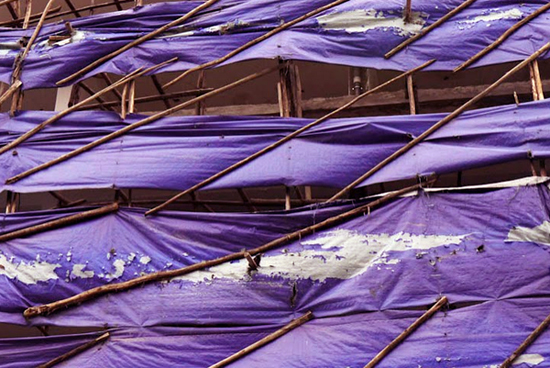 The space welcomes artists, both established and emerging, to create and collaborate, building art and relationships. 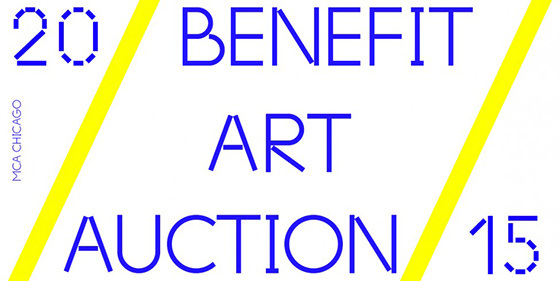 The art benefit auction features work from more than 20 artists and a portion of the proceeds go to a local not-for-profit, Yollocalli Arts Reach. This is a youth initiative of the National Museum of Mexican Art dedicated to providing equal access to communal artistic and cultural resources that allow youth to become creative and engaged community members. 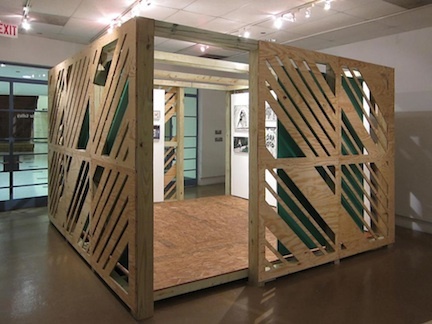 Yollocalli provides a similar space to LVL3 that encourages communal art and learning for youth. 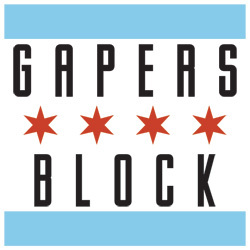 Originating in Pilsen, it claims a safe space that enables a progressive dialogue in urban and youth culture. Advanced bids start Saturday, March 31 online and bidding ends at 9:30 pm on April 7. Artwork starts at $20 and raffle tickets will be sold at 1 for $3 or 2 for $5. If you can't make it to the benefit for Kristen Romaniszak at Double Door on Monday, or if you're looking for another way to be supportive, consider purchasing a print from Chicago Tattoo Company artist Nick Colella. 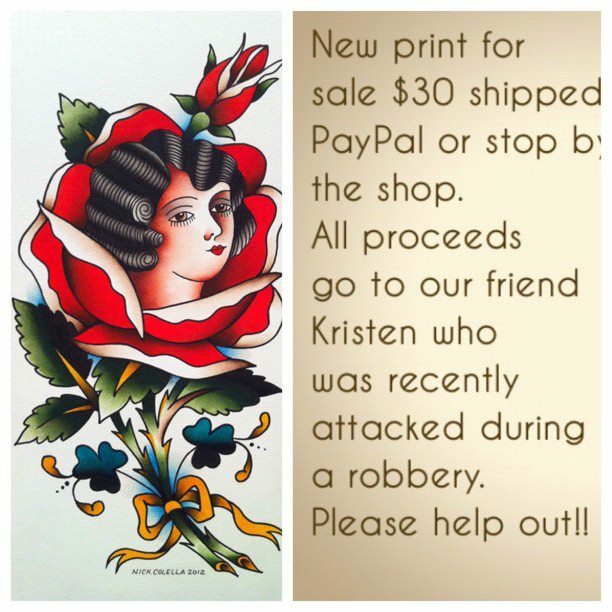 Prints are $30 and all proceeds go to support Kristen's recovery. 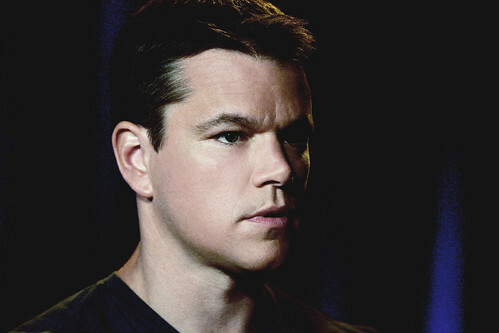 Matt Damon to Headline The People Speak, Live! Nearing its Chicago premiere at the Metro, 3730 N. Clark St., on Jan. 31st, The People Speak, Live! performance has officially added Academy Award Winner Matt Damon to host the event and compliment a cast of local talent. The supporting cast includes Robert Breuler and Alana Arenas of the Steppenwolf Theater, various local poets and Rick Kogan of the Tribune. Based off of the 2009 documentary, The People Speak, The People Speak, Live! is a benefit performance that features dramatic readings of written works from people of the past. This month's performance will include readings of a fifteenth century priest documenting Columbus' arrival in the New World, a fugitive slave's scathing letter to a former master, the words of pathbreaking Chicago labor organizers, testimony of civil rights activists and more. Tickets are available at $11 to $24. Doors open at 6pm. Performance at 7pm. 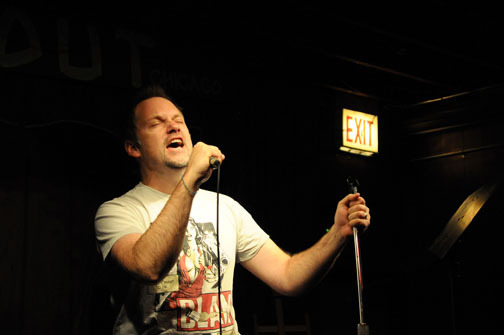 Comedy Cares is a non-profit fundraising organization founded by Chicago comedian Ever Mainard that utilizes comedy as a source of revenue for programs and individuals in need of assistance. This months event will raise revenue for the Broadway Youth Center and the services that it provides. The show will take place on September 23 at 8pm at the Lucky Shamrock (2723 North Halsted) and will be hosted by Mainard, who is best known for her podcast Dates with Ever and as a member of Chicago Underground Comedy. The lineup features the best acts in Chicago and includes: Lisa Laureta (the people under the stairs), Kelsie Huff (the kates, Bruiser, Boulder International Fringe Festival) Bill Cruz (host of Gutter Mouth open mic) Ryan Walker, Gwen Laroka (winner of Last Loca Standing) Adam Burke (host of Coles Open Mic, Chicago Underground Comedy) Caitlin Bergh (Cameron Esposito's Side Mullet Nation), and Jeff Gandy. Two Chicago-based actresses are attempting to have their dream realized: A hit web series based on the life and times of two freelance assassins. Before "Hitwomen" can become a hit, though, Lindsey Marks and Jolie Roberson need to raise $6,000 through the project startup, Kickstarter. Please checkout their video here and donate as much or as little as you want based on what you see. 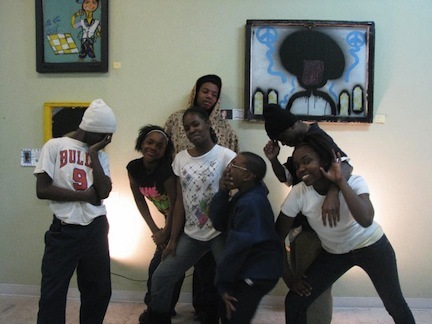 The Chicago Urban Art Society is a Pilsen-based not-for-profit exhibition and creative-use space located in the Creative Industry District, 2229 S. Halsted St. Starting at 2pm on June 25, you'll be able to join them for an ol' fashioned fundraising Brew HA HA. Well, maybe this Brew HA HA is more "new" fashioned than old, because if you attend, you'll have a chance to taste some of the best, locally produced beer before other Chicagoans get word of them. 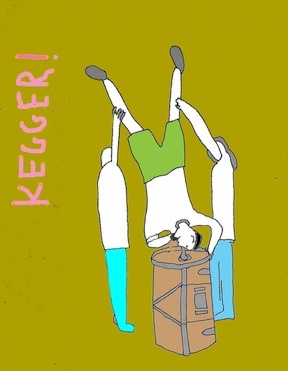 If you feel like it, you can also bring a bottle of your favorite brew to share with other curious brewsters. Don't miss these featured home brewers, though: Lowdive, Brutally Honest Brewing and Powell Brewing. Also, save some room for beer-friendly treats from Chef Won Kim & Company. Actually, it'll be best to pace your sips and bites, because this beer tasting will go on until 7pm. Admission is $10 per person. This Saturday night Collaboraction will throw its most revolutionary fundraising party to date with their 9th annual CARNAVAL: Let Them Eat Cake! party at the Double Door. The venue will be transformed into a party battle zone with live musical performances, radical costumes, burlesque, immersive theatrical interludes, two floors of dancing and bottomless drinks. "With revolution in the air, Collaboraction gathers its diverse and vibrant colony of artists to create an immersive artistic experience that vibrates with bacchanalian insurrection. Part party and part living art installation, our 9th annual CARNAVAL will be a debaucherous deconstruction of the history of revolution in France and throughout the globe," said Anthony Moseley, Artistic and Executive Director of Collaboraction, in the press release. 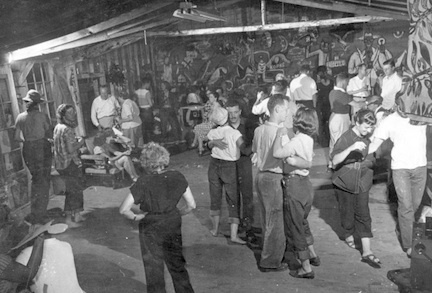 One of Ox-Bow's early dance parties, photo courtesy of their Facebook page. For the past 100 years Ox-Bow (the SAIC-affiliated artist residency/commune/adult summer camp) has hosted a themed costumed dance party and benefit auction every Friday night while classes are in session. Every year the themes get more creative and the dance parties get more epic. Friday, February 18 they are bringing the party into the city (lucky us!) and they invite you to come dressed as a famous artist or artwork. Eric May, head chef at Ox-Bow and director of Roots and Culture Contemporary Arts Center, will spin funk, soul, dub and reggae CORRECTION: yacht rock/early rave/Moombahton. Alright, people. If this doesn't sound like fun to you, you're absolutely hopeless: this Saturday Oct. 30, artists Mike Bancroft and Evan Plummer of Garage Spaces team up with The Hyde Park Art Center to bring you S***, Shower, and Shave. 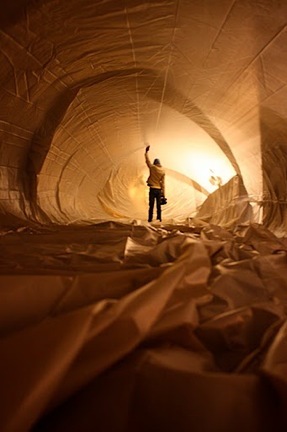 Part of HPAC's fabulous-sounding "Mischief Weekend" festival, S***, Shower, and Shave will begin with a tutorial on how to create your own arsenal out of a modified shaving cream can, then visitors will be released into a 60-foot soft sculpture tunnel to engage in shaving cream combat. What's better than that? S***, Shower, and Shave is only one of several events/exhibitions the HPAC has organized for "Mischief Night," which takes place at the museum this Saturday from 1 to 10pm, and is described by the HPAC as "celebrating the subversive, the weird, the illusive nature of art and artists." I highly recommend checking them all out here.